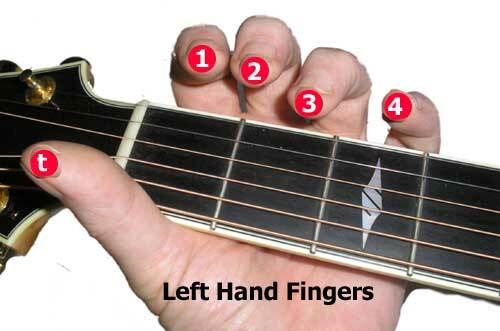 As a starter try strumming 2 downstrokes on each of the four chords show in each key. Strum and change chords slowly in the order they are shown and then gradually build up speed. you'll want to do that now. Because I'll be sending you at least 50 Guitar Lesson Song videos for FREE.....That's why. Enter your email address below. Click the button and then go check your inbox to start enjoying all this new guitar material. you can rest assured that we don't ever send any or let anyone else! Read what guitarists everywhere are saying about 6 String Videos! "Your friendly manner is a breath of fresh air and I (like many others I am sure) feel like I know you"
I think you have got it just right! I look forward to opening my e-mails every day in hope that there is another Mike Herbert's snippet. You have enough free material to keep us visiting your site and enough tempting material to make us part with our hard earned cash. I've only just seen your first instructional video and I've learned more in 20 minutes than in the last 2 months. I must congratulate you on your superb choice of tunes for us novices to have a go at. They seem to fit the part perfectly not to difficult and sound good to me even on my first attempts. Having tried a few tutorial sites on the internet over the past 12 months yours is the best by far. Thank you very much. Straight ahead and to the point. Love you! Lovely simple instruction, great for a beginner. Great teacher. keep up the good work. You are a great teacher, thanks! Excellent beginner blues tuition video. This is great instruction, plain, simple and easy to understand. Thank you so much for your time. You play well, speak well, film well, and teach well. Thanks a million for your videos. All the best to you.